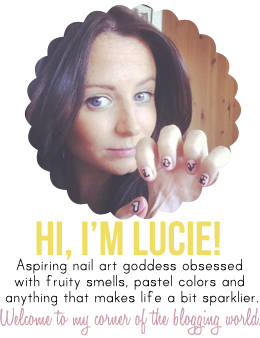 Lippy Lucie: Nail Art Contest HELP!!!!! So i really really really want to host a Nail Art Contest!!! Can one of you super user bloggers let me know how the hell I use this "inlinkz" thing to set one up?! Or let me know how else I can set a contest up so you lot can submit your entries for everyone to see? Any help would be appreciated so I can get the contest up and running :)!!! While I haven't done one before if you have an email that's JUST for this blog you can tell people to send entries there. And maybe tell them to send them with a specific word in the subject (ie. Contest) so it's easy for you to find. And if they have a blog you can tell them to send you a link. Doing this of course means you would have to post them manually by yourself. I actually first looked into inlinkz a few days ago just because :P You should know that if you set one up to include photos on your site you can only use it once for free. After that you have to pay for your account either on a monthly basis or yearly. Thanks so much Kas!! I looked into inlinkz again last night and realised it wouldn't be free forever so I had decided on letting everyone post their entries to me :) Much easier!! I read all your lovely comments and will always try to reply!! Nail Art Contest Starts Today!! Blog design by Yours Truly Designs. Powered by Blogger.